Award any golf champion with this Open Championship Golf Trophy! 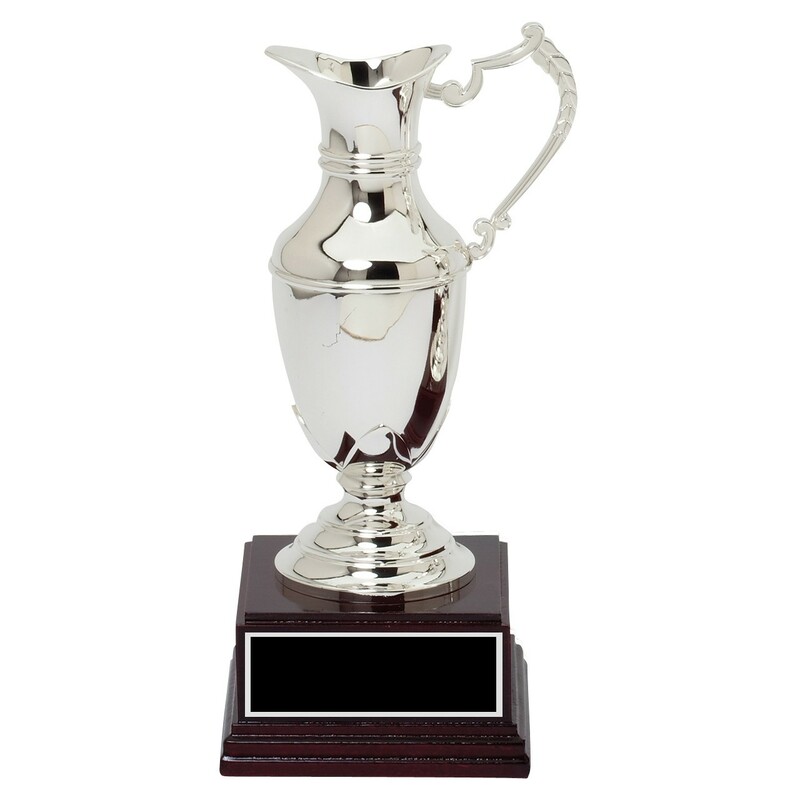 With its silver jug-like top and rosewood base, this stunning trophy strongly resembles the Claret Jug presented at the British Open Golf Championship! Make any golfer's dream come true by presenting them with this lovely trophy! With customized engraving included, this golf trophy is perfect for a themed bachelor party, to a high-class charity event!